When it comes to start-up funding, it is difficult enough to decide between the various options of funding, let alone knowing which platform to choose when it comes to crowdfunding. What you do need to know, is that there currently are 4 types of crowdfunding types – Rewards, Donations, Equity and Peer-to-peer lending. They all differ based on what is given and offered in return. In a case of rewards based crowdfunding, you would generally be expected to offer some kind of rewards, or a product to your backers. The types of rewards you may want to offer to your backers, should generally be related to your core business. Rewards based crowdfunding can be used for businesses as well as social and creative projects. If you are a shoe maker, fashion designer, artist, innovator, tech or gaming enthusiast, you should probably be considering this type of funding for your venture. Donations based crowdfunding, is based on people’s good will to support your project. This type of funding is very commonly used for social or charitable fundraising, as well as personal, such as college fund, medical or legal costs, a wedding or a climbing expedition in the everest. You should probably avoid this this type of crowdfunding for business ventures. It often causes confusion and results to failed campaigns. Equity crowdfunding is based on financial commitment of the crowd to back your business idea in return for a small share (equity) in your business. This type of crowdfunding if most commonly used by already trading businesses, who have already proved the product works. Also, this type of funding is suitable for b2b, software or app products, where there is no possible physical or tangible reward for the backer. In some cases the project may offer other rewards, such as being part of exclusive membership or other non tangible rewards. The motivation of the crowd funder in this type of transaction is more investment focused than two types mentioned above. It is worth mentioning that this is regulated activity in the UK and Europe and is outlawed in the United States. Peer-to-peer lending is based on a lending model, where the crowd lends money to your business in exchange for agreed return on their money. This type of crowdfunding is usually suitable for businesses who are looking for working capital, set-up or equipment costs. It is not generally good option for creative or very early stage businesses, as it would be generally more risky. In case your business doesn’t generate revenue consistently, you may be subject to additional fees or personal guarantees based by your assets. So, lets look into the types of crowdfunding and what are the top crowdfunding sites that are available for you to choose from. Without a doubt Kickstarter comes first on our list. They are without a doubt one of the key platforms in this sector and since their inception in July 2012 up until January 2018, they have raised over 3.4 billion U.S. Dollars. Many projects from creative, film, gaming, technology and event projects that contributed to this staggering amount. One of the key features of Kickstarterare fixed funding model, where you have to reach your funding goal in a set amount of time. This is also known as all-or-nothing campaigns. The second biggest and probably most successful platforms are Indiegogo, where funding is more flexible and they accept projects of all different types. Indiegogo is certainly one of the most flexible and diverse platforms, where you find anything from fashion, smart technology, gadgets, film, creative, media, publishing, and many more. They also offer product that you can buy, as well as donation and cause crowdfunding option. If you check and compare Alexa rankings of these two platforms, you will see some difference and similarities, in the type of traffic that visits these sites. One of the original UK Crowdfunding sites, Crowdfunder is primarily focused on reward-based funding for individual projects. They’ve also recently acquired PeopleFund.It, meaning they have a massive network/ reach to an engaged audience of funders.They types of project you would expect on this platform may be Creative, Early Startup, Tech, Community, Sports. StartSomeGood: The crowdfunding platform for social enterprises, nonprofits and changemakers. Highest success rate, great support and reputable crowdfunding platform for social innovation, positive impact projects and community or ethical projects. 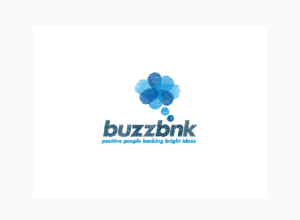 UK based Fundit.Buzz (formerly Buzzbnk) is for positive and enterprising projects, they are focused on supporting social ventures aiming to make an impact. They can fund businesses, individual projects and a range social ventures. This is a hybrid crowdfunding platform offering Reward/ Equity Based Crowdfunding. Focused on Social Ventures/ Social Enterprise Focus projects. Crowdrise is a place for donation-based funding for Causes and Charity. They’ve attracted a community of do-gooders and and fund all kinds of inspiring causes and needs. A unique Points System on Crowdrise helps track and reveal how much charitable impact members and organizations are making. Rockethub powers donation-based funding for a wide variety of creative projects. What’s unique about RocketHub is their FuelPad and LaunchPad programs that help campaign owners and potential promotion and marketing partners connect and collaborate for the success of a campaign. GoFundMe is a donation-based fundraising platform that allows users to create a campaign to describe what they are raising money for. The top 5 areas of usage on GoFundMe are 1) Medical 2) Educational 3) Volunteerism 4) Personal Emergencies and 5) Sports & Teams. During the fundraising process, members can describe their fundraising cause, the amount they hope to raise, and upload photos or video. Kiva is a non-profit organization with a goal to connect people through lending to alleviate poverty. Kiva lets individuals lend as little as $25 to help create opportunity around the world. Because Kiva is a non-profit, 100% of every dollar that is lended goes directly towards funding loans. Furthermore, Kiva does not charge interest to their Field Partners, who administer the loans. 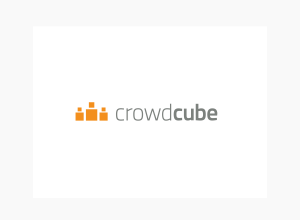 Crowdcube are currently one of the world’s largest equity based platform for startups looking to raise investment. Whether you’re looking to raise £100,000 or millions in finance, the reach and network around the platform make it a strong contender to list on for those looking for equity funding. 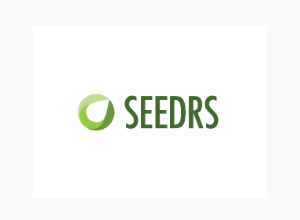 Seedrs was originally UK focused and based, and has now expanded its platform out to investors and startups across Europe. They focus on fundraising investment for startups in exchange for equity. One of the key benefits to their system is they operate a nominee structure holding shares on behalf of investors, simplifying the process greatly for startups and investors. As to fees, you create your campaign and only pay a tiered fee if your fundraising is successful. Serving UK and Wider Europe market in equity crowdfunding. If you’re a tech startup with a shiny lead investor already signed on, or looking for for Silicon Valley momentum, then there are angels and institutions finding investments through AngelList. For a long while AngelList didn’t say that they did crowdfunding, which makes sense as they have catered to the investment establishment of VCs in tech startups. The accredited investors and institutions on AngelList have been funding a growing number of tech startup deals. 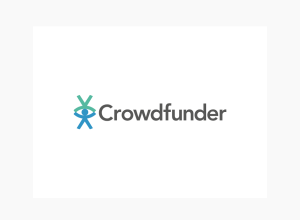 Crowdfunder is the leading equity crowdfunding platform for raising investment (not rewards), and has a one of the largest and fastest growing network of investors. Crowdfunder provides investors free access to early-stage VC-backed startups. Crowdfunder recently launched the VC Index Fund that invests $100,000 into top VC-backed startups and then allows their investor base to invest in the startup at the same terms. Profile of borrowers: Funding Circle offers flexible business loans from £5,000 to £1m over a term of six months to five years. A typical borrower is a well-established business with a turnover of £600,000 (minimum of £50,000) and fewer than 10 employees. The average size loan requested is £60,000. Minimum/maximum investment: No maximum. Lenders place bids on loan requests in multiples of £20, up to an aggregate of £2,000. Fee paid by borrowers: The fee depends on the type and length of loan and a credit risk assessment of the borrower. The fees range from 2pc to 5pc. If you enjoyed this article, check out our Free Crowdfunding Checklist. 0 responses on "Crowdfunding Types and Platforms you need to know about"